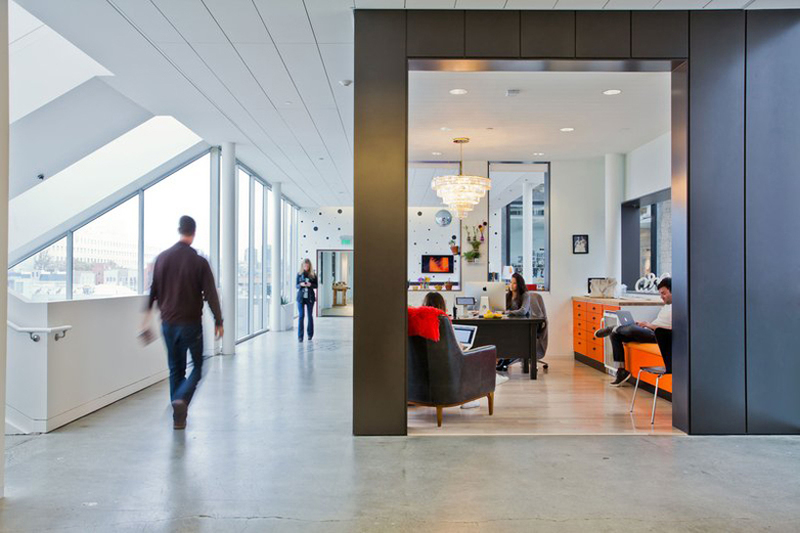 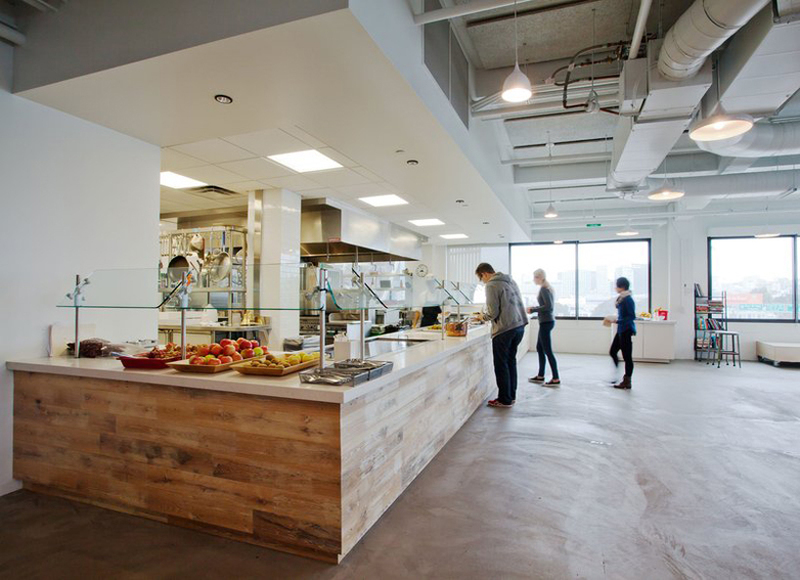 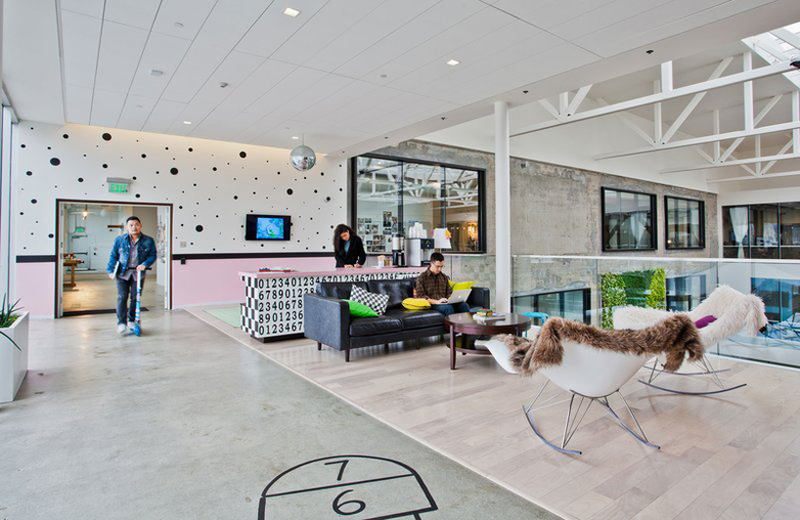 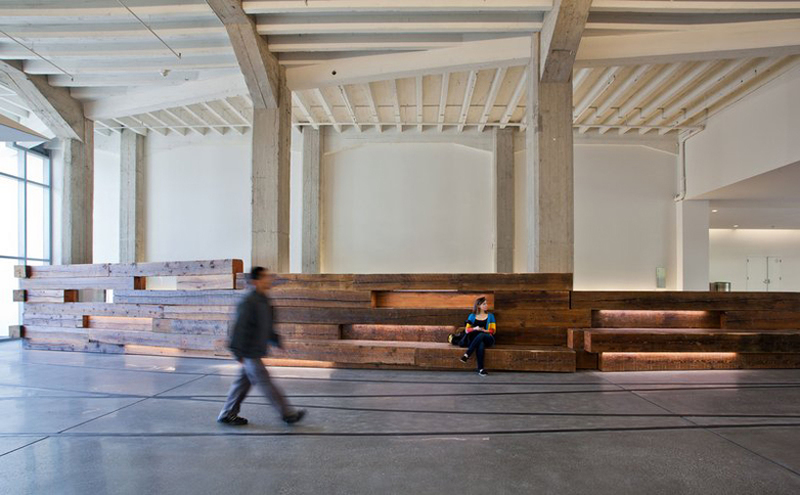 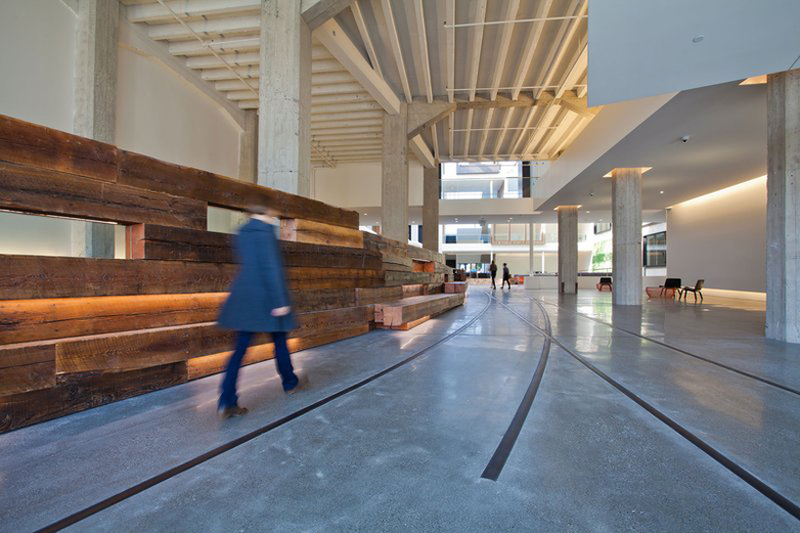 located at the corner of 8th and brannan street in san francisco’s south of market district, a former five-story historic industrial building from 1917 now houses vacation home rental company AirBnB‘s new 170,000 square foot headquarters. 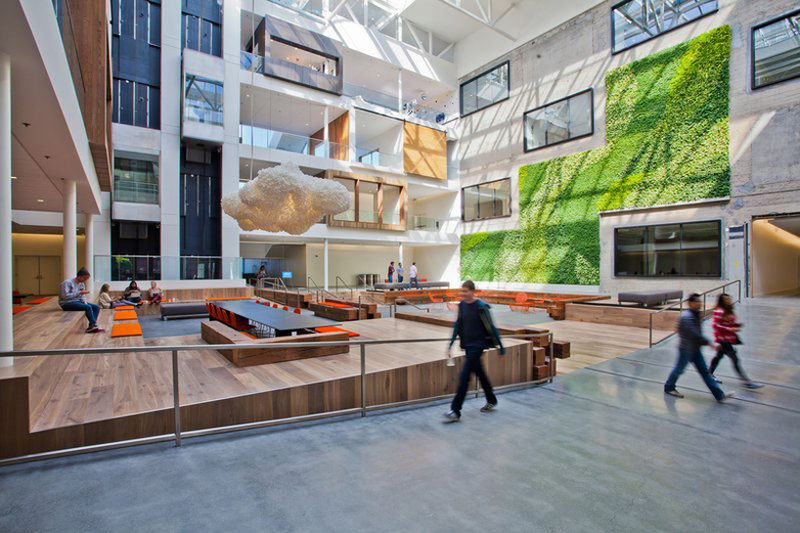 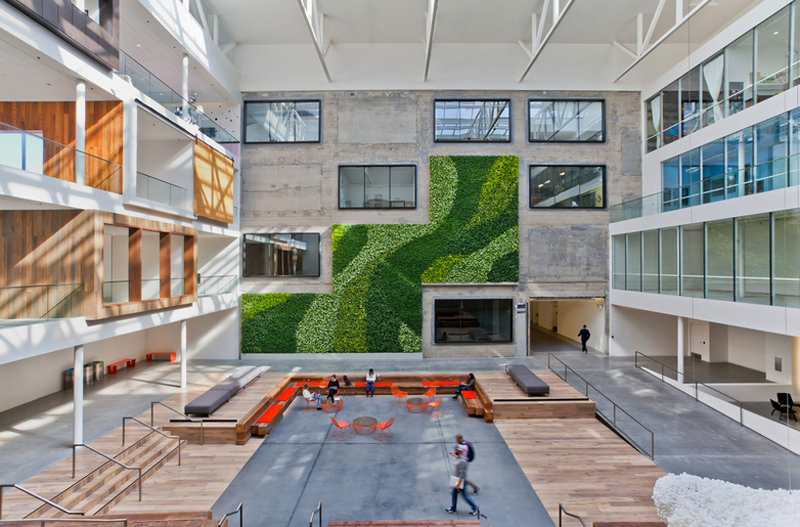 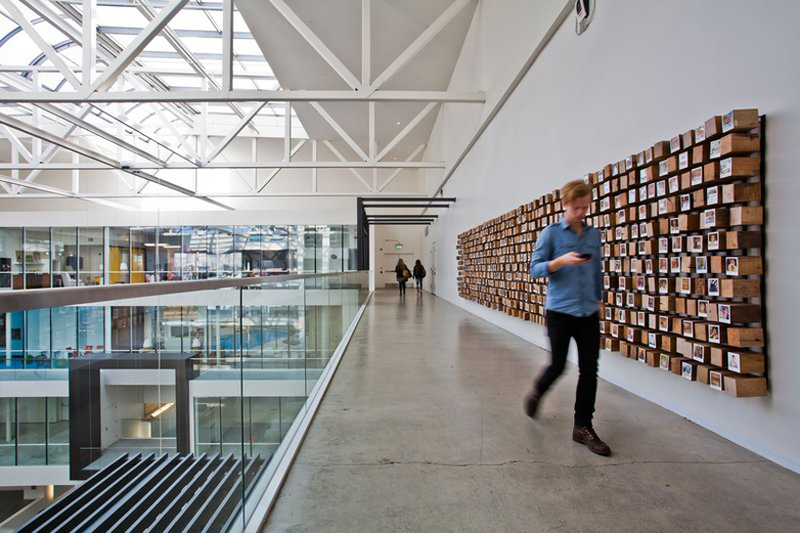 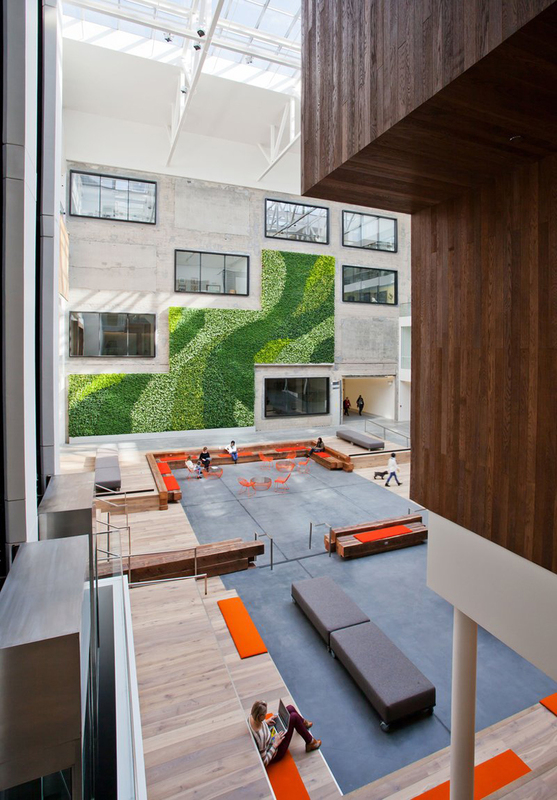 designed by architecture firm gensler and local studio interior design fair, the existing warehouse atrium has been hollowed out to accommodate a staff of nearly 200 employees, providing space for a massive three-floor ‘Gsky’ living green wall and a central collaborative lounge area for working. 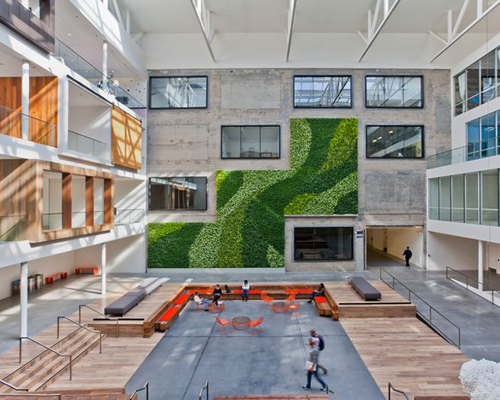 scattered throughout the plan, a series of actual home listing replicas from airbnb contain the the individual office spaces. 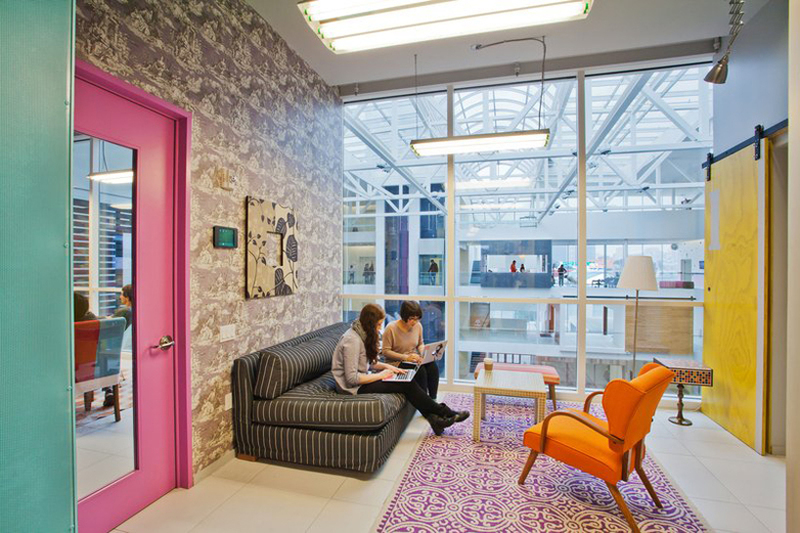 from cozy boardrooms, to kitchen-like cafeterias, the light-filled hubs foster creative development and boost productivity, giving employees the freedom to roam the workplace as if it were home. 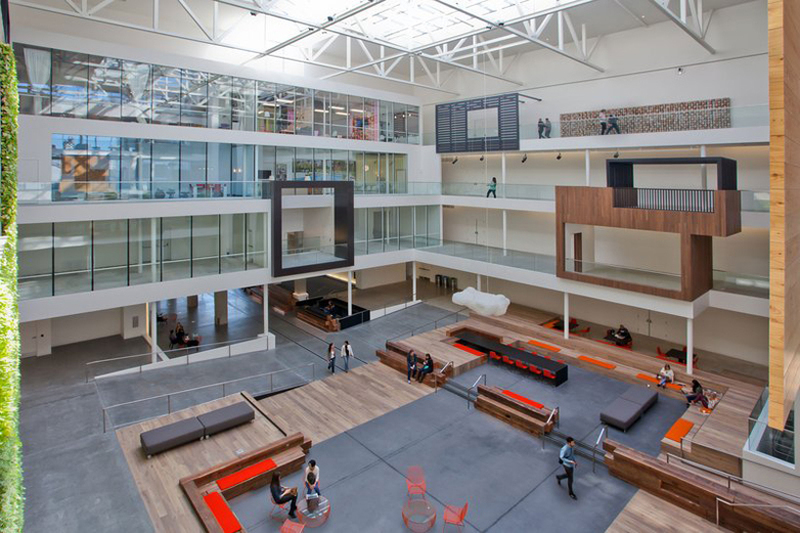 This is everything else then a home, it is actually ANTY-HOME!